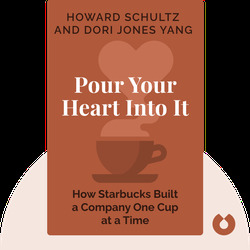 Pour Your Heart Into It takes you on the enthralling journey of how Starbucks came to be a success story. 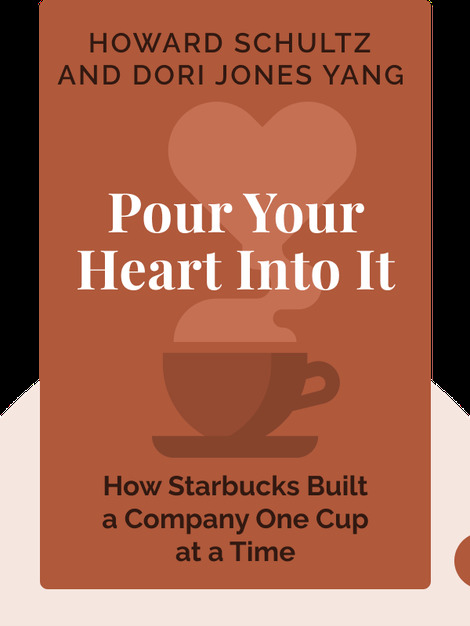 It sheds light on its beginnings, reveals how the quick growth rate was possible and sets out to explain how businesses can learn from its strategies and principles. Howard Schultz is an American businessman and Starbucks Chairman and CEO. From a modest background and the first person in his family to go to college, he grew the small coffeehouse into a billion dollar company. In 2007 he won the FIRST award for Responsible Capitalism. Dori Jones Yang is an American author. She studied in Princeton and John Hopkins University.